Slender Yellow Woodsorrel Oxalis dillenii Jacquin Synonyms: Oxalis dillenii ssp. 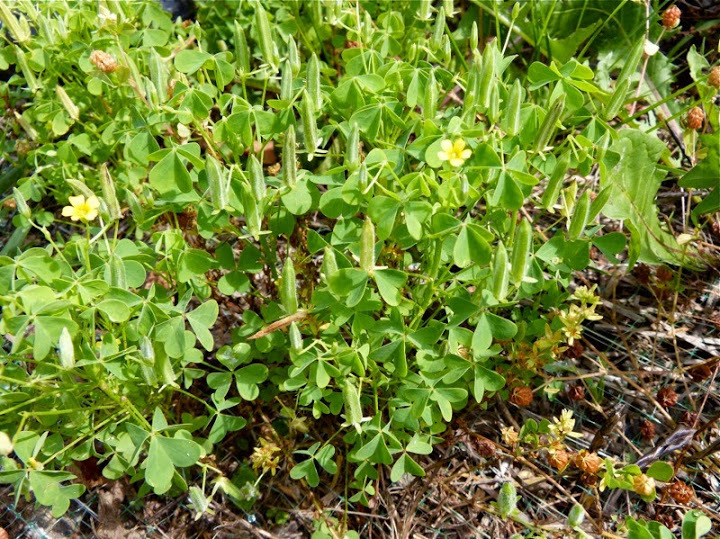 filipes, Oxalis florida var. filipes, Oxalis stricta, Xanthoxalis filipes. 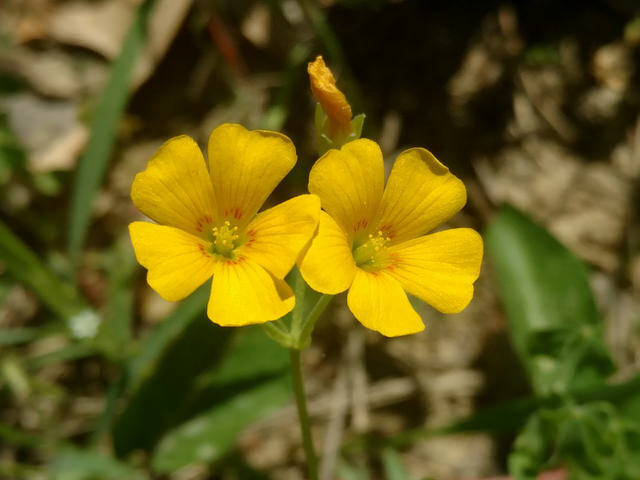 Differentiating between Slender Yellow Woodsorrel and Common Yellow Woodsorrel (Oxalis stricta) can be tricky. 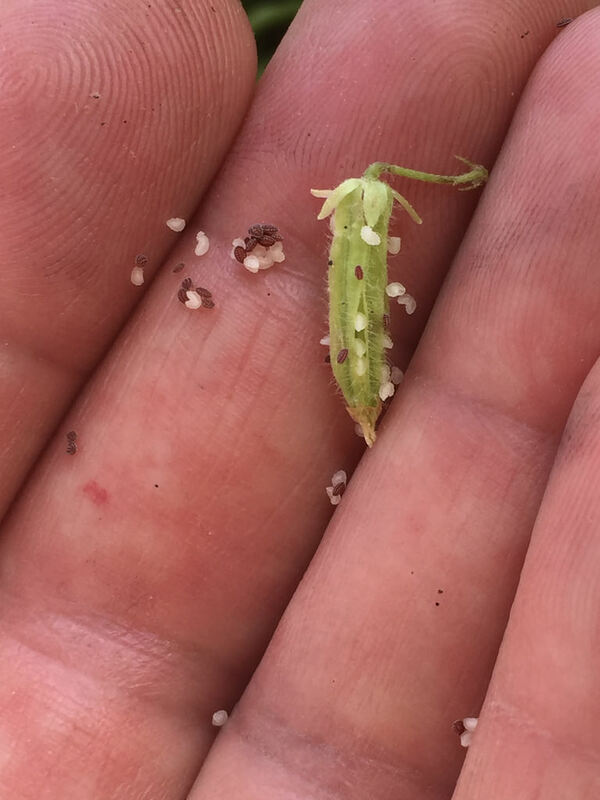 Looking at the seeds of the plant is the best way to identify these two species. 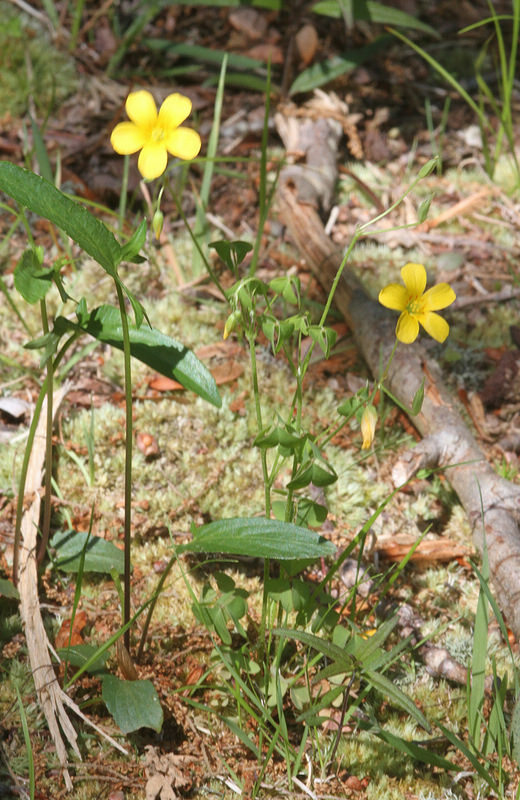 Common Yellow Woodsorrel has seeds that are plain brown. 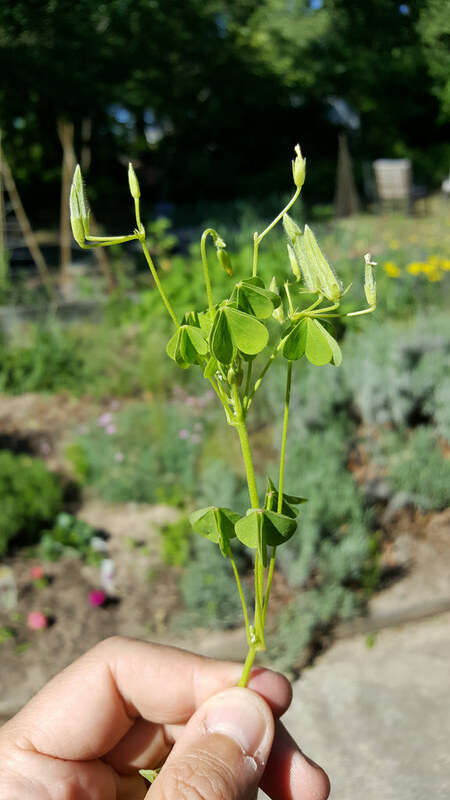 In contrast, the seeds of Slender Yellow Woodsorrel are brown, with prominent white ridges. Checking the hairs on the stem is another way to separate the two species. The stem hairs of Common Yellow Woodsorrel are dense and spreading, while the stem hairs of Slender Yellow Woodsorrel are appressed.